When I started working as a wedding officiant, I thought lots of Los Angeles couples would be calling me for beach weddings. As the summer wedding season winds down, I can now almost claim to have done a beach wedding! Friday night, I had the honor of serving as wedding officiant for Mark and Julie Fisher at Shutters on the Beach in Santa Monica. 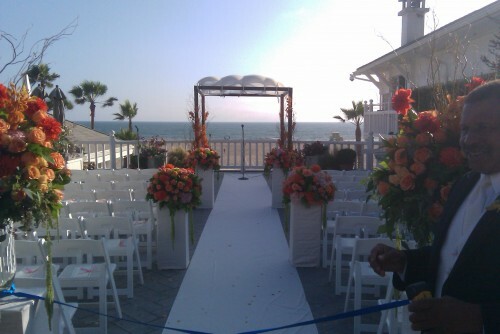 Now, technically we were above the beach, but with the Pacific Ocean and Santa Monica’s sand as the backdrop to Mark and Julie’s chuppah (another first for me) on the Shutters deck, I’ll go ahead and count it as my first beach wedding. Another first was working with Trisha Haner from Hidden Garden Flowers. Trisha was the wedding coordinator, and I’ll work with her and Hidden Garden again any time. Sometimes I’ve stepped out of my role as wedding officiant to help with little tasks for set-up, and of course I’ve had the task of conducting rehearsals, but Trisha was incredible in keeping everything orderly and on schedule, and she did it all with warmth and enjoyment. Two times love equals one. 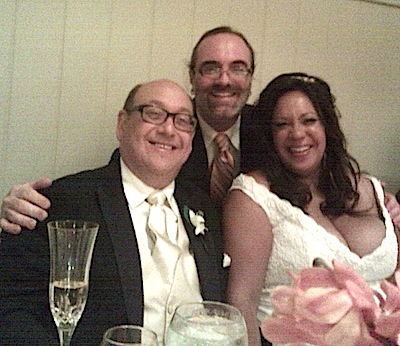 Mark and Julie, thank you for the honor of serving as your wedding officiant and working me into the equation of your love story! 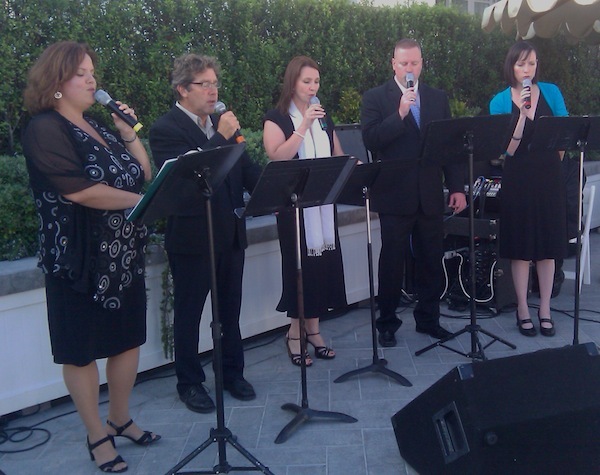 This entry was posted in Uncategorized, wedding officiant and tagged beach wedding, chuppah, Los Angeles, Santa Monica wedding, Shutters on the Beach, wedding officiant. Bookmark the permalink.